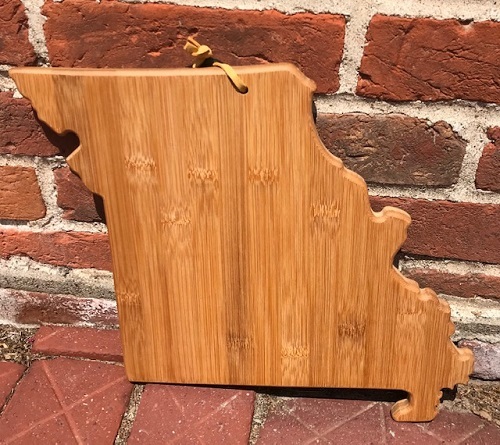 This cutting board is in the shape of the state of Missouri! Show off your Missouri pride with this beautiful yet practical gift! Made from bamboo, this board is big enough to serve as a platter but also the perfect size for food prep. It measures 13-1/2" x 11-3/4" x 5/8". Bamboo is a renewable resource that is easy on knives.